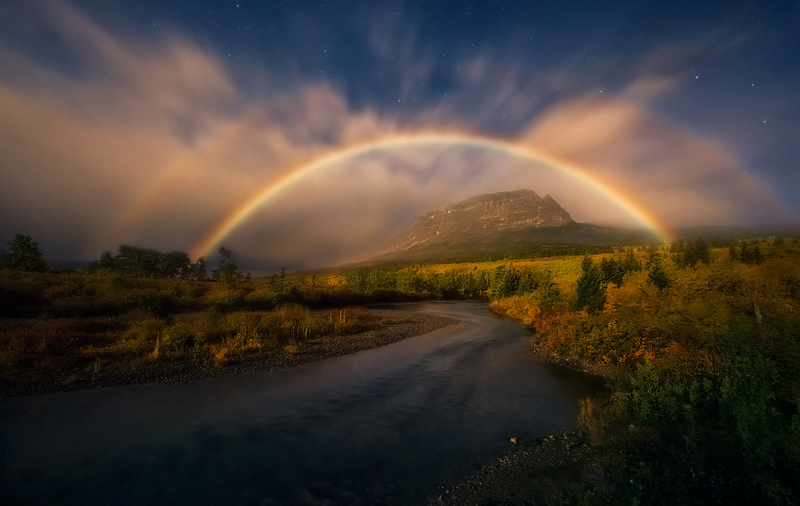 Look carefully - those are rainbows captured at night under the light of the moon! Ever seen this before? I hadn't! This was a real occurrence in Glacier Park in Montana at 10pm on a September night. Photo © copyright by Marc Adamus.